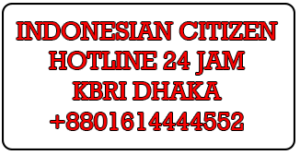 Dhaka Chamber of Commerce & Industry (DCCI) President Abul Kasem Khan has urged Indonesian Ambassador in Dhaka Rina P Soemarno to start direct flights between Dhaka and Jakarta, in order to boost bilateral trade and tourism. The DCCI president made the call at a meeting with the Indonesian Ambassador at the DCCI head office on Monday. DCCI Vice President Riyadh Hossain, Secretary General AHM Rezaul Kabir, and Counsellor (Economic Affairs) of the Indonesian Embassy Inggrid Rosalina were also present at the meeting. Abul Kasem Khan also proposed that joint road shows be arranged in Dhaka and Jakarta to attract investment, and suggested that the entrepreneurs of both countries explore the international halal food market. He further recommended that a government to government preferential trade agreement (PTA) be signed between Indonesia and Bangladesh. The DCCI president invited Indonesian investors to invest in the agriculture, IT, leather, infrastructure and tourism sectors of Bangladesh. He said they would be able to observe the investment environment of the country at the upcoming international “Destination Bangladesh” conference, which will be organized to mark the DCCI’s 60th anniversary. Indonesian Ambassador Soemarno echoed the DCCI president in saying that direct flights between Dhaka and Jakarta would be mutually beneficial, and invited Bangladeshi entrepreneurs to attend “Trade Expo Indonesia 2018,” to be held from October 24-28 at the Indonesia Convention Exhibition. She said Indonesia is actively considering a PTA with Bangladesh, adding that Bangladeshi jute bags, tiles from jute, other diversified jute products and shoes have potential market access in Indonesia. She also expressed an in interest in working together in the blue economy, and suggested that the two countries exchange trade delegations. 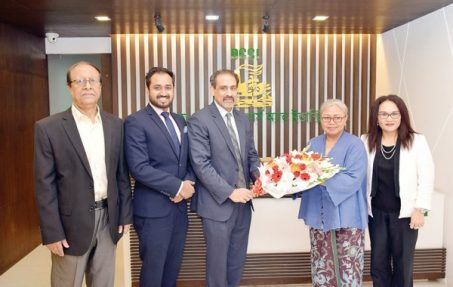 DCCI Vice-President Riyadh Hossain invited Indonesian investors to invest in IT sector of Bangladesh, and suggested joint efforts to develop the chemical and leather sectors of both countries. In FY2016-17, Bangladesh exported $46.389 million worth of goods to Indonesia, and imported $1,149.9 million.